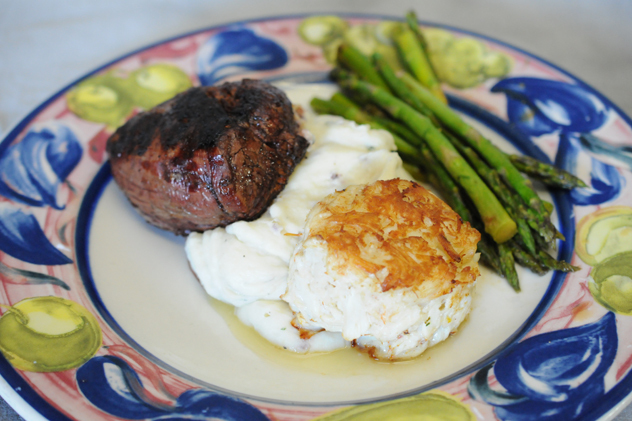 A single jumbo lump crab cake pan-seared and accompanied by an 6oz filet mignon, with smashed potatoes & asparagus. Also available with a 9oz. or 12oz. filet. Surf n Turf is a dinner special that may have limited availability.